Manchester United midfielder Andreas Pereira is the subject of interest from Premier League rivals Leicester. The 23-year-old has recently broken into the first team at Old Trafford, where he has put in a number of eye catching performances. It's understood that United wish to tie the Brazilian down to a new four-year deal, but are willing to ship him out on loan next season in order to give him more regular first-team experience. That, according to The Sun, is where Leicester's interest comes in, with new manager Brendan Rodgers said to be an admirer of Pereira's talents. 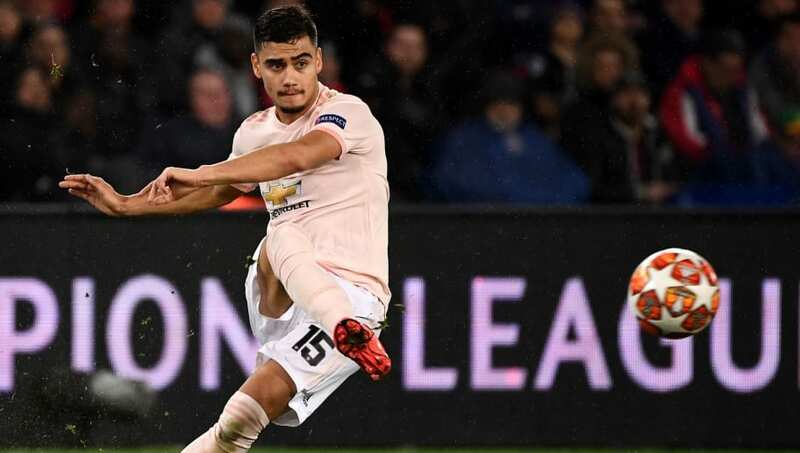 United believe his long-term future lies with the club, though, with an unnamed Old Trafford source quoted as saying that Pereira would only be allowed to leave temporarily - as long as it wasn't to join a rival. “The club are prepared to let him leave for a non-rival if it helps persuade him to stay long-term," the source said. “Nobody wants him to go as he is well liked here and is extremely talented. We are confident he can make it here. United reportedly value Pereira at £15m, but he has only made 14 appearances for the Red Devils so far - eight of those coming since Solskjaer took charge at the club. He has consequently enjoyed two season-long loan spells away from the club in Spain, but has taken his opportunity to shine since the Norwegian was appointed, playing a starring role in the recent 3-2 win over Southampton. But he could be persuaded to join Leicester on loan next season at the very least, with his place in United's first team going forward far from certain amid rumours of potential transfer incomings.